Since 1994, William D. Jones, MD, has provided occupational and preventive care in Oklahoma City, OK. The secretary and treasurer of the Oklahoma College of Occupational and Environmental Medicine, William D. Jones, MD, of OK belongs to the organization’s national counterpart, the American College of Occupational and Environmental Medicine. The July 2018 issue of the Journal of Occupational and Environmental Medicine reported on a new framework for evaluating the overall well-being of workers. Developed by the National Institute for Occupational Safety and Health (NIOSH), the framework examines the work and personal life factors that create a holistic understanding of the aspects that contribute to employees’ well-being. In addition, it assesses the effects of workers’ subjective experiences and observable aspects of the external environment. 1. Physical environment and workplace safety climate. 2. Company policies, programs, and practices that may affect workers’ wellness. 3. Contributing factors to workers’ mental and physical health status. 4. Workplace evaluation and experiences that influence the quality of work life. 5. Home, community, and society as influential factors outside of the workplace. William D. Jones, a self-employed MD in Oklahoma City, OK, enjoys spending time with dogs when he is not busy with work. In addition to serving as secretary of the Irish Setter Club of Oklahoma dog show, William D. Jones, MD, likes to spend time with his own Airedale Terrier puppy, Cooper. Airedale Terriers, the largest terrier breed, perform well in just about any context, boasting some of the greatest versatility of any dog breed. They are bred out of the Otterhound as well as several terrier breeds, some of which are now existing. The Airedale can play the role of a childhood companion, big game hunter, duck hunter, and home guardian. It has even served in the armed forces, with varied responsibilities including sentry and messenger. 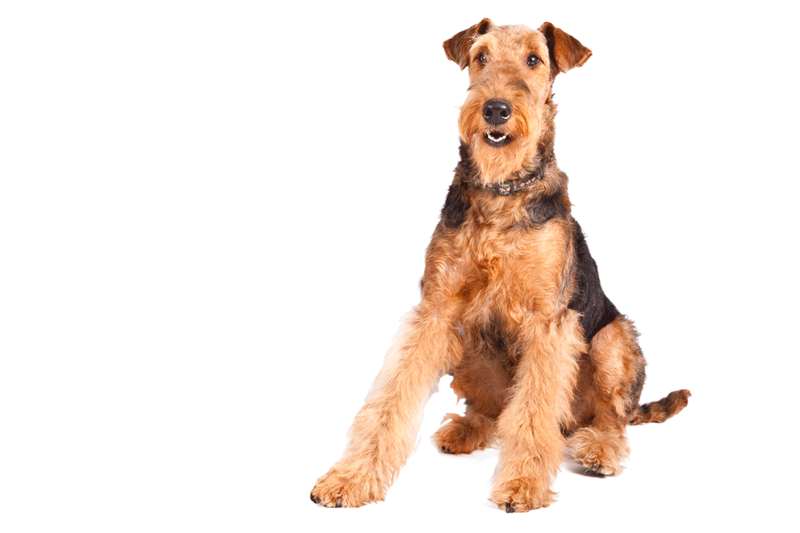 Due to the breed’s large size for a terrier, powerful build, and high energy level, most Airedales require some degree of obedience training. Their intelligence means they learn commands quickly, and their faithful nature helps them bond with owners and their families. They need regular stimulation, though, so those who can’t spend a lot of time with an Airedale should consider providing it with toys that are stimulating and challenging to play with. 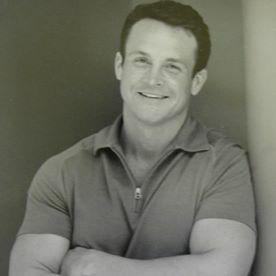 An occupational and primary preventive medicine professional with nearly three decades of experience, Dr. William D. Jones earned his MD from Brown University and then completed his residency training at the University of Oklahoma in Oklahoma City, OK. Professionally, William D. Jones, MD, maintains membership in professional organizations such as the American Medical Association (AMA). A leader in the medical field, AMA has supported research efforts, assisted with the development of public health policies, and served a wide membership of medical professionals since its founding in 1847. The association hosts numerous events every year for its members, including its Research Symposium. The 2018 AMA Research Symposium will take place in National Harbor, Maryland, on November 9 at the Gaylord National Resort & Convention Center. Hundreds of individuals from across the nation will present their original scientific research at the event. 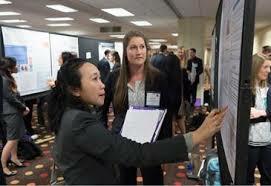 Those eligible to submit abstracts for the annual Research Symposium include medical students, fellows, residents, and candidates with Educational Commission for Foreign Medical Graduates (ECFMG) certification. A resident of Oklahoma City, OK, William D. Jones, MD, is a physician focusing on occupational and preventive medicine. Having received his doctor of medicine from Brown University, William D. Jones, MD, operates his own private practice for patients in Oklahoma City, OK.
Sleep is an essential part of preventive care. In fact, physicians almost always recommend that patients get an adequate amount of rest in order to best recover from diseases and illnesses. A new study coming out of Sweden claims that people who sleep in during the weekend have a lower risk of death. On the other hand, people who get less than five hours of sleep each night increase their rate of mortality by 52 percent. The good news for those on a tight weekday schedule is that the higher mortality rate can be lessened or eliminated by reclaiming the lost sleep during the weekends. Examining the data of more than 43,000 subjects, the researchers still recommend a proper amount of sleep each night, no matter what day of the week it is. They also found that both insufficient and excessive sleep generally lead to a higher risk of death. William D. Jones, MD, serves as an independent occupational and preventive medicine physician in Oklahoma City, OK. William D. Jones, MD, helps his patients to guard against and manage a variety of work-related illnesses and injuries, including back pain. Back pain is a common complaint among professionals who spend a great deal of time sitting at their desks. 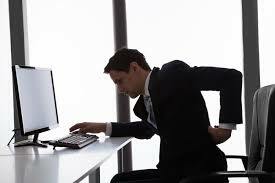 While the fixed position of sitting in a chair increases the amount of pressure placed on the intervertebral discs and tightens the muscles of the back, poor posture can easily exacerbate it. Slouching or slumping in a chair can not only strain the discs but also stretch the ligaments and other nearby structures, which can cause or worsen pain. Many experts find that you can reduce the temptation to slouch by adjusting the height of the computer keyboard, which should be positioned so that your elbows can be bent at a 90-degree angle without the upper back coming forward. Likewise, they recommend keeping the bottom edge of the computer monitor close to level with your chin, which will help to keep the back and neck straight. You may also find that your back pain decreases with a proper adjustment of your office chair. The seat should be adjusted to allow you to sit with your thighs parallel to the floor with your feet flat. A slight slope of the thighs is usually comfortable, but a footrest can make it easier for you to keep your feet firmly grounded. William D. Jones, MD, practices occupational and preventive medicine in Oklahoma City, OK. In his free time, William D. Jones, MD, of OK enjoys playing slow-pitch softball for both a men’s league and a co-ed league. Just as they do for children, team sports offer adults physical, social, and mental benefits. Team sports challenge the athlete cognitively, as he or she must be aware of what is going on within the game at all times and often needs to make split-second decisions based on others’ actions during play. Because these decisions often involve quick communication with teammates, the process involves even more focus and is even more mentally challenging. Responsibility to one’s team also encourages a player to become more disciplined and motivated to play at a high level. Accountability to others not only gives the athlete a goal to work toward, but also helps to keep him or her working past challenges. The interest in contributing toward that goal helps to keep the athlete, as well as the group, focused, an invaluable skill both on and off the field. Meanwhile, the constantly changing activity level of team play means that the athlete gets a varied workout. Unlike individual exercise, in which the athlete typically works at the same level for extended periods of time before taking a break, the team athlete will run, jump, stop, throw, and catch in quick succession. This works different muscle groups and different levels while offering more challenges to the cardiovascular system. William D. Jones, MD, is an Oklahoma City, OK, physician who provides personalized occupational and preventive medical care. Passionate about travel, OK resident William D. Jones, MD, has traveled extensively across Africa and the Middle East, and recently had the opportunity to experience India and Nepal. A mountainous country often impacted by earthquakes and flooding, Nepal offers a host of historic sites that make a visit culturally rewarding. As reported by National Geographic, the 8.1 magnitude earthquake that struck the country in April of 2015 had a devastating impact beyond loss of life that included the collapse of the nearly two centuries old, nine-story Dharahara Tower, a watchtower which dominated Kathmandu’s skyline. Also impacted was the 16th century Hanuman Dhoka, the city’s oldest palace on Durbar Square, as well as a number of historic temple pagodas. Despite these significant cultural losses, many more historical sites worth visiting survived the earthquake in a small country that boasts eight UNESCO World Heritage cultural sites. 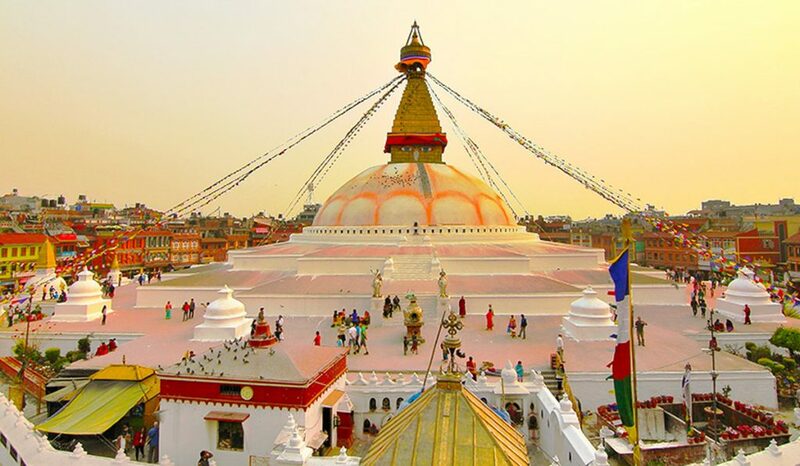 Among these was the Boudhanath Temple, which features a resilient stupa, or mound for sacred relics, built in the fifth-century. Nepal’s oldest Hindu site, the Pashupatinath Temple, not only survived the temblor but was used in performing last rites for many victims of the earthquake. William D. Jones MD received his medical degree from Brown University in 1992 and later moved to Oklahoma City, OK, to establish his private practice after finishing his residency. With more than two decades of clinical experience, he has served in numerous institutions, including medical director of the department of occupational medicine at Norman Regional Hospital in Norman, OK. A well-rounded individual, William D. Jones MD speaks French and has used it conversationally on trips abroad. Those who took French seriously in school can testify to the numerous benefits associated with learning the language. It opens up opportunities to communicate well with nearly 200 million Francophones worldwide. The French language is not only spoken in France, but also in countries such as Canada, South Africa, Belgium, and Switzerland, so a working knowledge of the language can make communicating in these places much easier. Moreover, French is considered to be a stepping stone to learning other Romance languages – including Spanish and Italian – as they have numerous similarities in grammar and vocabulary. English speakers may not be aware of it, but there are actually a significant amount of similarities between their native tongue and French. This link can be traced to the 11th century when Norman conquerors gained control of England. Consequently, Anglo-Norman French was spoken in England through the 15th century, resulting in numerous terms that are similar in both languages. A graduate of Brown University, William D. Jones, MD, serves as an occupational and preventive medical practitioner at his own medical office in Oklahoma City, OK. Outside of work, William D. Jones, MD, of OK enjoys doing his own lawn work and taking care of his Airedale Terrier puppy, Cooper. 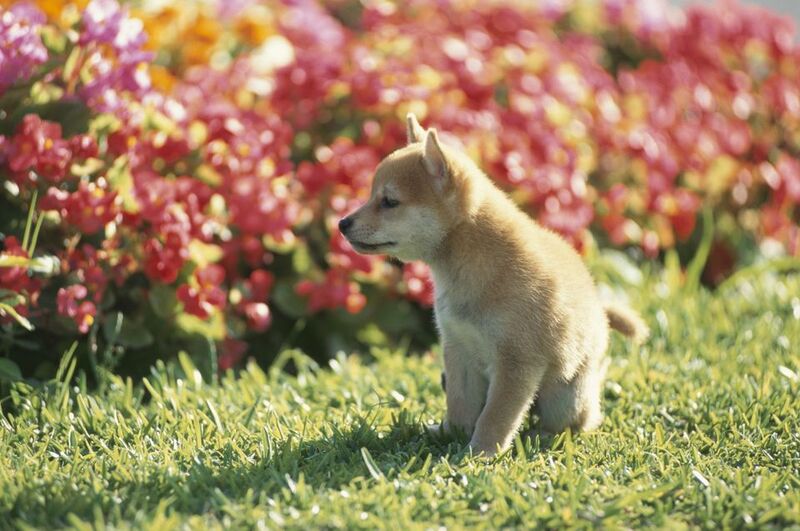 Due to the acidic nature of dog urine, grass that is used as a bathroom develops brown spots. While some dog owners find that keeping their dog hydrated and watering spots their dog urinates in reduces damage, the only way to fully prevent damage is to create a separate bathroom area. Dogs can be trained to urinate in this area instead of using the lawn. Dogs naturally patrol the yard and it is better for owners to go along with this instinct instead of fighting it. By adding paths around the yard, dogs are free to walk without damaging the lawn or other landscaping aspects. Ideally, owners should build these paths along established routes and use paw-friendly materials. Many dog breeds dig to bury a bone, create a place to cool down, or alleviate boredom. Regardless of the reason, it wreaks havoc on a lawn. Fortunately, owners can handle it in a variety of ways, such as adding boards or chicken wire at the soil line or planting dense greenery near a fence line. Owners can also create a designated digging spot using gravel or sand. A graduate of the Warren Alpert Medical School of Brown University, William D. Jones, MD, oversees his private practice in Oklahoma City, OK. In an effort to better serve his OK patients, William D. Jones, MD, continues his education and training as a member of the American College of Occupational and Environmental Medicine (ACOEM). The ACOEM has supported the advancement of worker health care for more than 100 years. 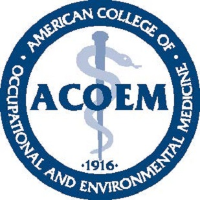 With a focus on preventive medicine, ACOEM aids its membership by offering a number of educational opportunities, including its annual conference each spring and the Journal of Occupational and Environmental Medicine. In the June issue of Journal of Occupational and Environmental Medicine, a new paper revealed that obstructive sleep apnea (OSA) affects more than 40 percent of commercial drivers. Of that total, roughly the majority measured as mild cases, but about 12 percent fell into the moderate to severe categories of OSA. Medical researchers used sleep laboratories for their testing, and the data came from 16 separate studies. The findings laid the ground for future research, as the implications of this body of work hint toward potential correlations between OSA and driving accidents, comorbidities, and occupational disabilities.